Dubbed as one of the first nationally-acclaimed "blog bands," Tapes n Tapes have been stirring up the indie rock music scene since they released their debut EP in 2004. The band stopped by tpt's studio to perform some songs from their most recent album, "Outside", released January 11, 2011. Dubbed as one of the first nationally-acclaimed "blog bands," Tapes ‚Äòn Tapes have been stirring up the indie rock music scene since they released their debut EP in 2004. 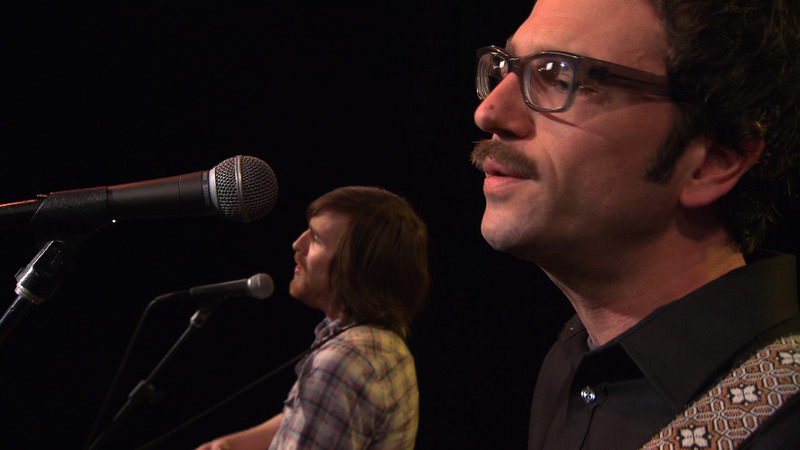 The band stopped by tpt's studio to perform some songs from their most recent album, Outside, released January 11, 2011. Here the band performs "Mighty Long." Be sure to check out their popular single "Freak Out" from the same session. Tapes 'n Tapes perform songs from their album, "Outside", released January 11, 2011.